The audit is an essential part of the checks and balances in the Lodge. Like any organization, be it a public corporation or a nonprofit institution, it is necessary to periodically review the financial status of the entity which is typically performed on an annual basis (such as at the end of the financial year). Such analysis is essential in order to verify that accounting is being properly performed and that the powers that be are competently and correctly discharging their fiduciary responsibilities. It is also invaluable to assure no improprieties are being performed on the institution’s finances. I cannot image any institution, large or small, profit or nonprofit, not performing such a function. In accounting there are fundamentally three levels of review: a “compilation” to check if the numbers add up correctly; a “financial review” which checks the numbers and comments accordingly, and; an “audit” which is an extensive review of numbers and procedures (and a costly undertaking I might add). In Freemasonry, we tend to avoid examinations of any kind from outside parties, preferring instead to analyze the Lodge’s finances internally. In my neck of the woods, the Lodge Audit is the responsibility of the Lodge’s Finance Committee to perform which is chaired by the Senior Warden and two other committeemen appointed by the Worshipful Master. These two other committeemen specifically do not include the Secretary, the Treasurer, or the Worshipful Master, since they are part of the process under review. Hopefully, the two other committeemen have some experience in accounting but quite often they do not and usually consist of Brothers who are experienced businessmen or Past Masters. Remarkably, I have seen Lodges who haven’t a clue as to how to perform a Lodge Audit and, as a result, shy away from performing it or do a superficial job. Either way, this does a disservice to the Lodge which depends on accurate financial records. Actually, the process is not that difficult and can be performed in a reasonably short period of time assuming you know what to look for. 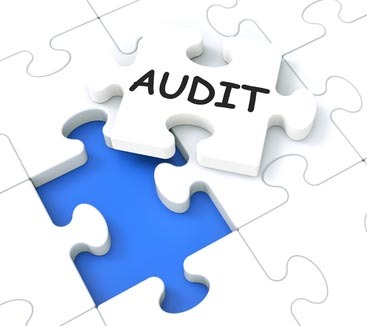 There are basically two things to examine in performing a Lodge Audit: procedures and data. Procedurally, all income and expenses typically begin with the Secretary who records both in a ledger of some kind, either a cash book or using computer software (although cash books are fine, electronic spreadsheets and financial software offers the ability to automatically total accounts, thus simplifying the audit as well as for budgeting purposes). For every expense, large or small, the Secretary is to write a voucher which is to be countersigned by the Worshipful Master and passed on to the Treasurer for payment. Some Lodges have their bills paid automatically each month electronically, such as for utilities and telephones for example. Regardless how the bill is to be paid, either electronically or manually, all expenses require an authorized voucher. Money is collected by the Secretary (and recorded as mentioned), before being transferred to the Treasurer for deposit in a financial institution. The Treasurer should then record all transactions (both debits and credits) either using a register (check book) or using an electronic banking system (such as Quicken, MS Money, or Quick Books). The benefit of these electronic banking systems is that they are very reliable in calculating balances and provides a convenient means to audit transactions (as well as monitoring budgets). The Treasurer should also have on hand an organized set of bank statements which the Finance Committee should examine carefully and compare to the transactions as recorded by both the Treasurer and Secretary. Voucher’s as issue by the Secretary. Lodge minutes (optional) – should contain some insight about financial transactions. Treasurer’s register (check book or electronic banking system). Statements with all financial institutions the Lodge does business with, should be filed chronologically. Canceled checks – this may be optional as many banks no longer return canceled checks. A Chart of Accounts (if the Lodge has one) denoting how finances are to categorized and recorded. A copy of the current Budget (if the Lodge has one). For each individual expense, was an authorized voucher properly issued (and signed by both the Secretary and the Worshipful Master)? Are there any incompatibilities between the transactions recorded by the Secretary and the Lodge minutes? Does the income and expenses recorded by both the Secretary and the Treasurer match? Are there any inconsistencies? Does the Treasurer maintain organized copies of all bank statements? Does the income and expenses recorded by both the Treasurer and the bank statements match? Are there any inconsistencies? Does the Treasurer maintain organized copies of all paid bills? How well do the financial transactions match the operating Budget of the Lodge? The final report should mention what was examined and itemize any problems that require correction. Bottom-line, the Finance Committee should determine if the Lodge’s finances are being properly recorded and managed. Keep the report short and to the point. Do not be vindictive or complimentary, keep it all “matter of fact” and professional. If necessary, recommendations for improving the management of finances should also be noted. All members of the Finance Committee should sign the Lodge Audit. There may be other elements and formal reports required by your Grand Jurisdiction to complete, what I have mentioned here represents the basics. The Lodge Audit represents an essential part of the “checks and balances” in managing the financial resources of the Lodge. It is a serious responsibility to perform, one that should not be taken lightly. We may not like what the audit has to say, but it is an invaluable safety valve which all Lodge officers should take to heart. Did I miss the joke, or was “necessity” misspelled on purpose?